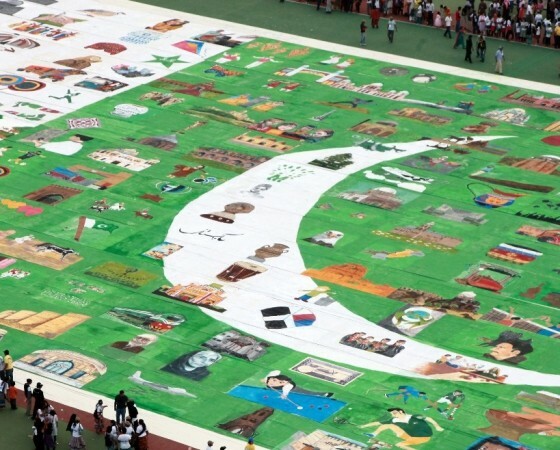 SAC 2012 marked its end gloriously on the historic day of 23rd March when the Street Art Pakistan team gathered the participants of SAC III and attempted a World Record for the ‘World’s Largest Painting’ at National Hockey Stadium, Lahore. The record was broken by more than 1,500 participants from all over Punjab, painting the largest flag in the world. The attempt was completed in 7 hours and was covered by electronic and print media alike. The size of the painting was 41,000 square feet.